Personally I prefer not to buy mince. I like to buy fillet and put it in food processor to make the mince. In that way you know which part meat you are having and how lean it is. Don’t use lean meat for Chapli kabab. Lean meat makes dry kabab. I am not very fond of deep fried kabab. That’s why I like Chapli kabab which is shallow fried. Even you can use BBQ for it. 1. Mix all the ingredients together and make a patty with it. It will make about 6. 2. Heat the oil and shallow fry them till it becomes golden brown (don’t over fry it). 3. Serve hot juicy chapli kakab with naan / paratha or side with polau. Tips: just use flesh of tomato. Don’t take watery part of tomato. Awesome Kebab. Nice presentation. Very well done. I like Kabab. I will try this and will let you know how I go. Can we have more Pitha recipes? Can i use boiled beef mince?If it is possible, which ingredients(masala) i’ve 2 use to boil my mince? Hi! you dont need to boil beef mince. 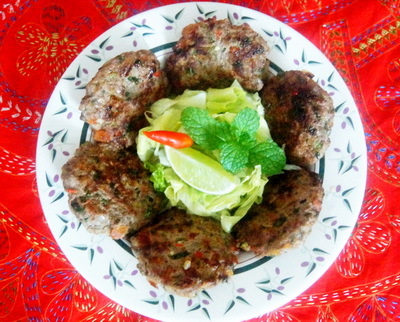 For Chapli kabab you do not to cook or boil the mince. 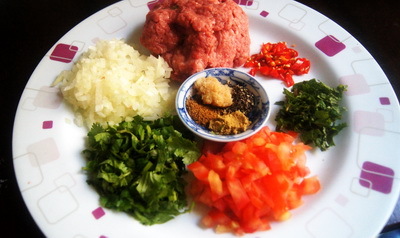 for beef mince process will be same. Dont use lean mince. 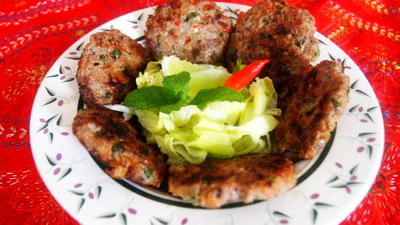 lean or premium mince will make dry kabab. Thanks. I like your recipes…they r very easy to follow and yummy…this Eid, I tried some of your recipes and everybody appreciate them…thanks for being there for us..